501c (3) Certification From The Federal Government. How much do you value life? Your choices reflect your character. 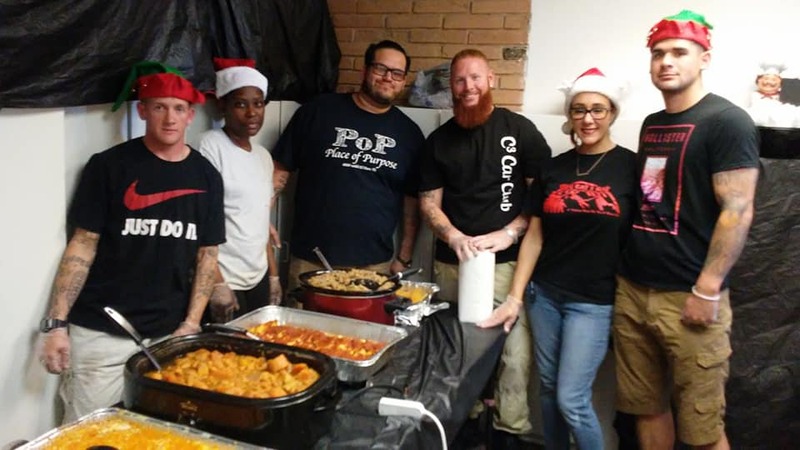 We strive to provide food to poor and low income families, Veterans, and any citizen of El Paso, Texas in a judgement free environment. We believe that we all needed a helping hand at one point in life and no one should go hungry. Please view our news page to see how we help people in need and the companies who help us. We cannot achieve our goals alone. Click our donate button to learn how you can help. SPONSORSHIP IS GREATLY NEEDED TO KEEP OUR DOORS OPEN. Please consider participating in our spring raffle by donating to the pantry with your support of a $10 raffle ticket! We have some great raffle prizes to include staycations at the local El Paso Embassy Suites, Microtel and Holiday Inn Express; A years worth of donuts from Southern Maid Donuts; A Gift Certificate to the Magnum Restaurant inside the Wyndham Hotel, a Gift Certificate to Olive Garden and seven bags from Full Beauty Brands! It’s a win-win for everyone! We can’t do anything without the support of the community! Drawing will be held on April 12, 2019 at 6:30 PM at our Spring BBQ. You do not need to be present to win! 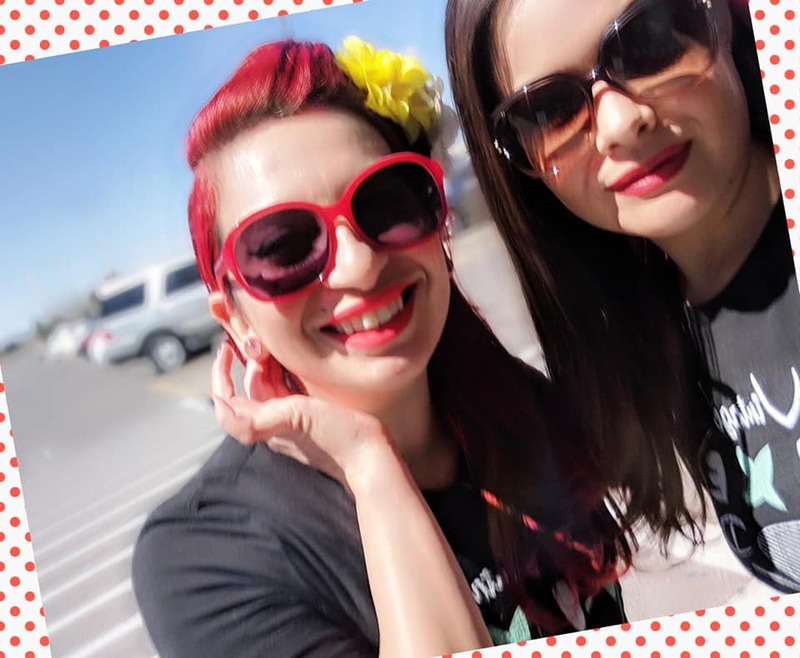 Vintage Vixen Dolls Step Out to Help At Our St. Patrick’s Day Food Drive!!! 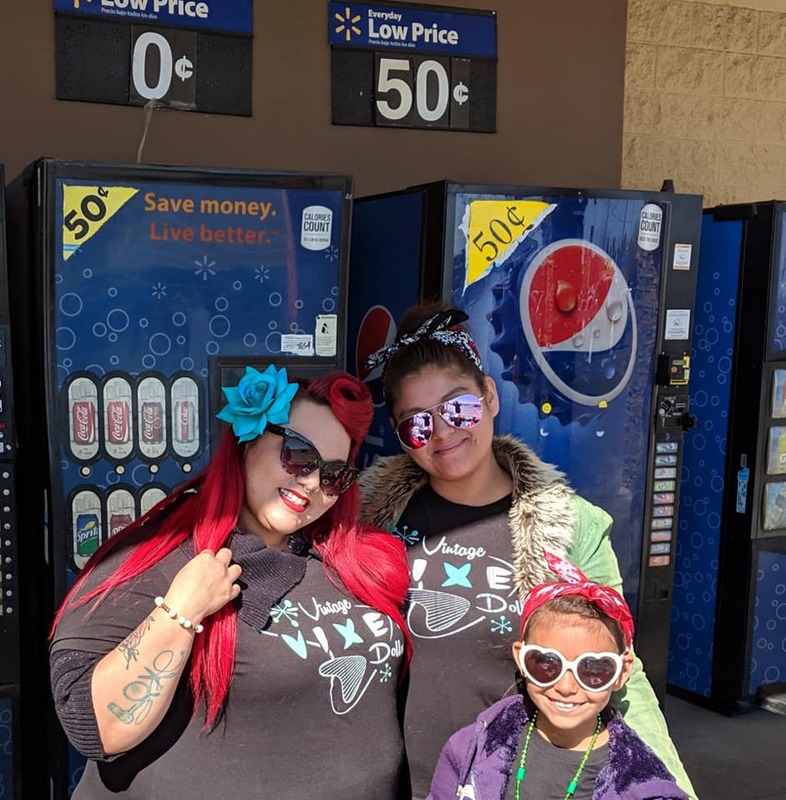 We were so blessed to have the Vintage Vixen Dolls come out to help support us at our community food drive at the Walmart on Hondo Pass! 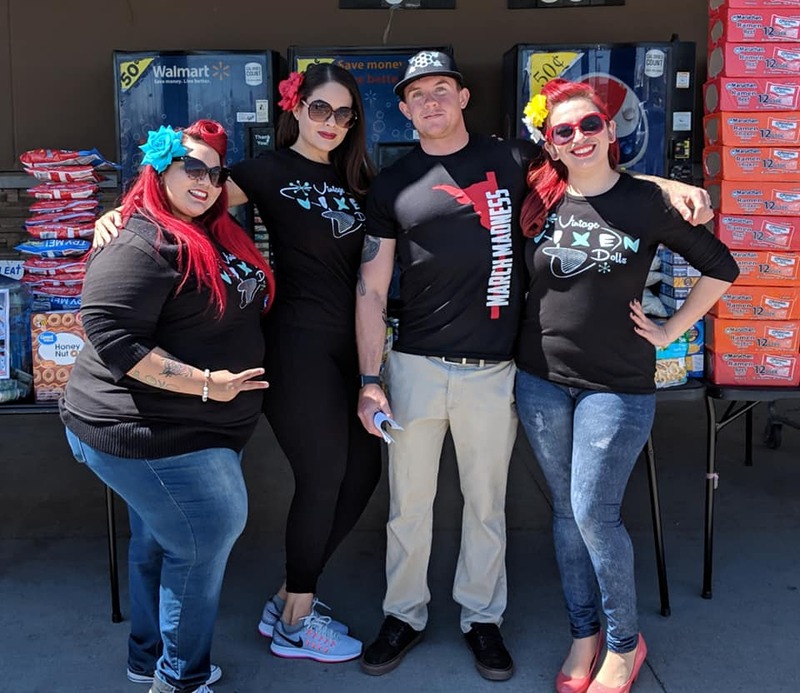 It was a great success and we were able to gently receive so much needed non-perishable items for the El Paso Community and God’s Children in need! We can not thank them enough for their help and all that they have done! Helping our Children to Care is So Important!!! Thank you so much Andrew Veilleux Principle of General Colin L Powell Elementary School. 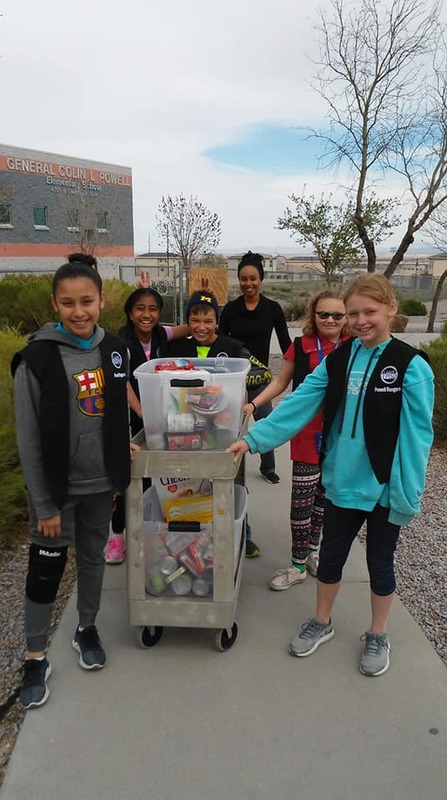 The Student Ambassador's and Everyone who donated for your Support helping God's Children in need …You did an awesome job collecting 200 non perishable foods items to help You EAt I EAt at your food drive It's important that we teach our children to care for others.. Thank you Nani Buc Buc our Volunteer for setting up this food drive event! Vintage Vixen Dolls Donate a Much Needed Freezer to God’s Children In Need!!! A HUGE THANK YOU to Kaz Alaniz and the Vintage Vixin Dolls for donating this gently used freezer to You EAt I EAt! Two days after receiving it, it was full to the brim with items to help God’s Children in Need!!! Teaching our Children to Care Through Community Service!!! Beatrice & Cub Scouts and all if the Students of Vista Del Futuro..Principal. 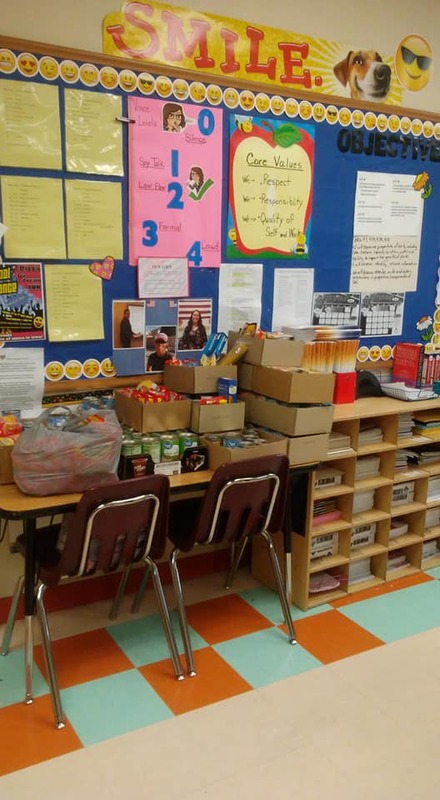 Staff and everyone who participated in the FOOD DRIVE to Benefit You EAt I EAtWords can't express how much love you have placed in my heart though your Selfless act of kindnessTeaching children to CARE is so important, that's what Beatrice did when she CARED. When She planned to help You EAt I EAt on Martin Luther King Day during our Event at Savers. 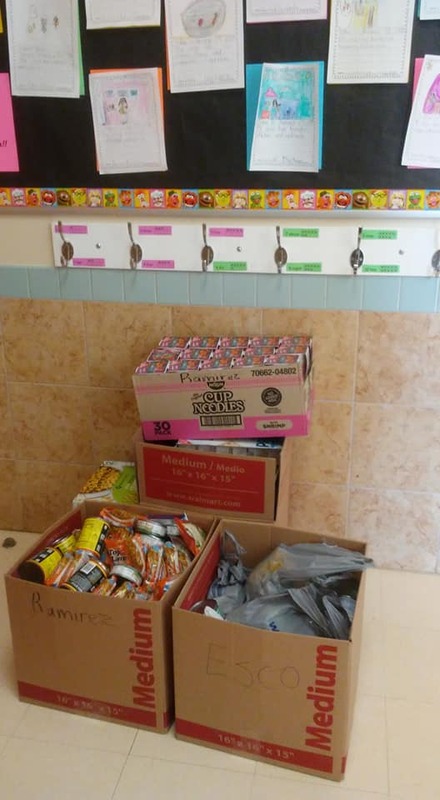 On February 1st the children started bringing canned foods to school. 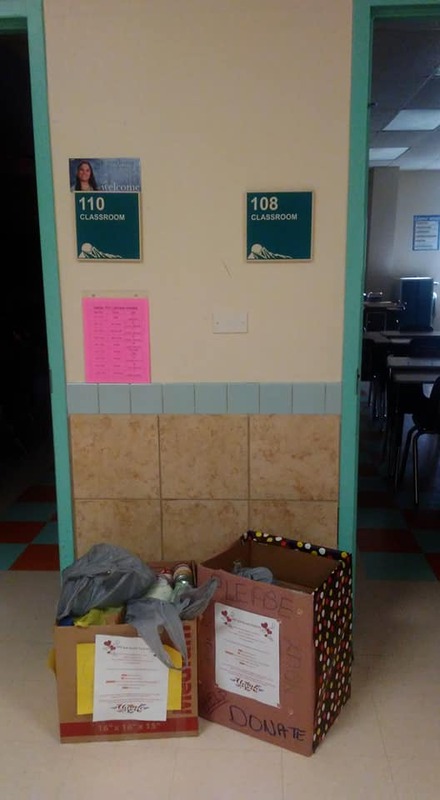 Teachers Placing boxes in front of their classrooms for every grade levels to donate. 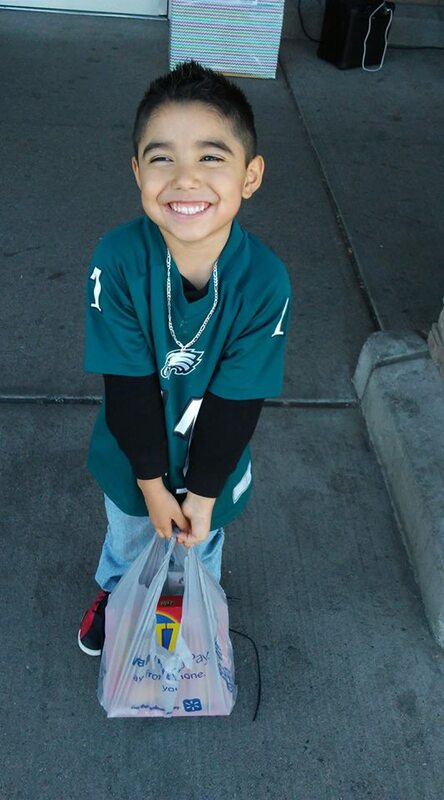 The Cub Scouts even went door to door in the cold asking for non perishable foods donations. 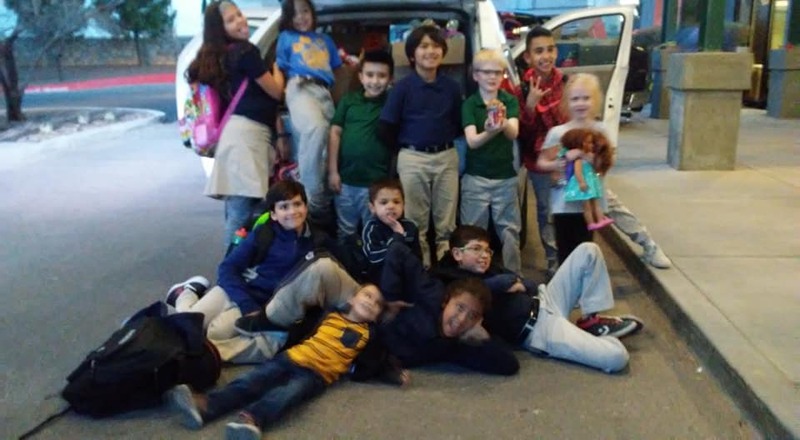 One child told me, “Some people didn't give them anything but she did not let that Discourage her..nor did it discourage any of the Cub Scouts from wanting to collect as much food as they could by donation day.” We are so proud of the children of Vista Del Futuro Charter School!Thank you for your support and donations of 3300 non perishable foods items. You well EXCEEDED your GOAL! Thank you for being a friend of You EAt I EAT! Honoring Martin Luther King, Jr. while Helping the Community!!! In honor of the great Martin Luther King Jr., It's going to be Great Day to SAVE and DONATE..DROP Your Donations off in front of SAVERS…and to help your community at the same time! From 9am to 3p.with the YEIE Volunteers..Volunteers are Needed for this Fund Raiser. 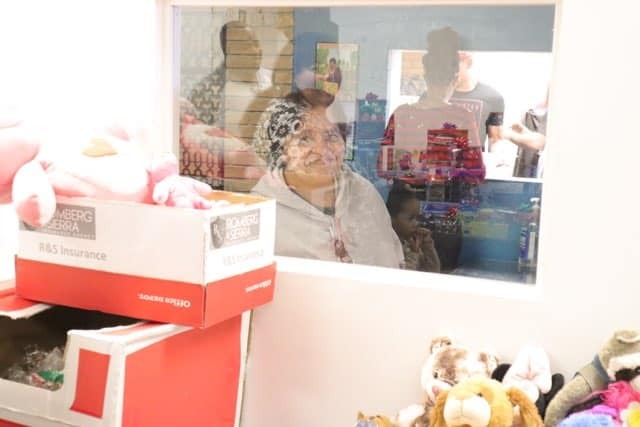 Please stop by and show brotherly love..like MLK and Volunteer for an hour or two..While you are there find that one of a kind item...Even Better its on SALE and the best part is that you are helping God’s children in need! THANK YOU ESPERANTO DEVELOPMENT FOR ALL OF YOUR SUPPORT!!! 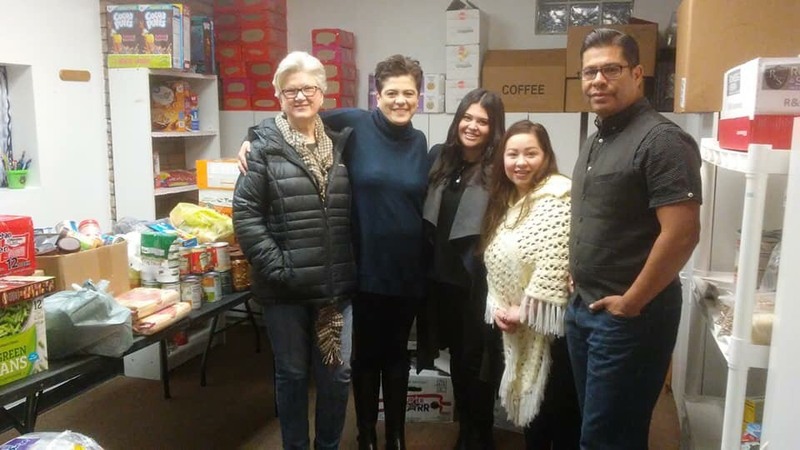 Thank you so much to Esperanto Development, staff, everyone that has contributed to the food drive and each and every hotel that has contributed. We couldn’t do anything without all of your efforts! Your contributions made a big difference in helping God’s children in need. 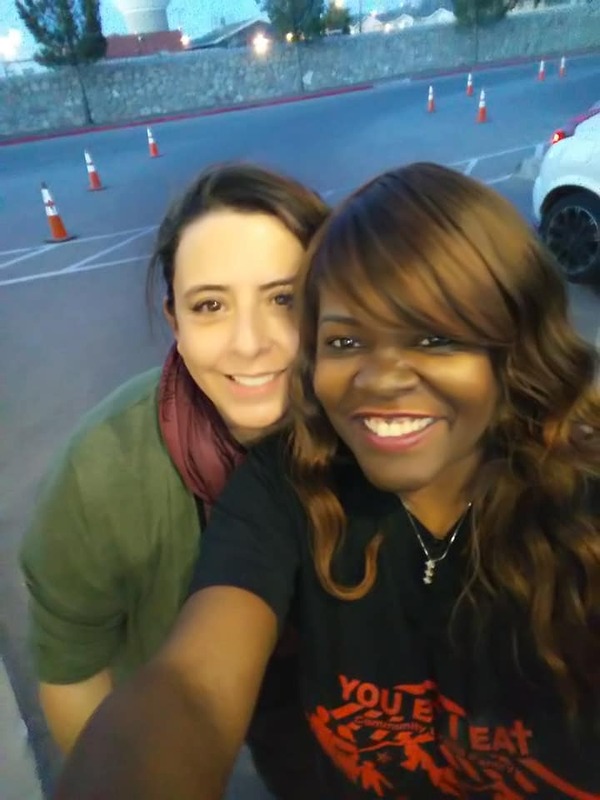 A special thanks to to Shelia Woodard for all of your hard work bringing together so many people to help God’s children for YEIE. 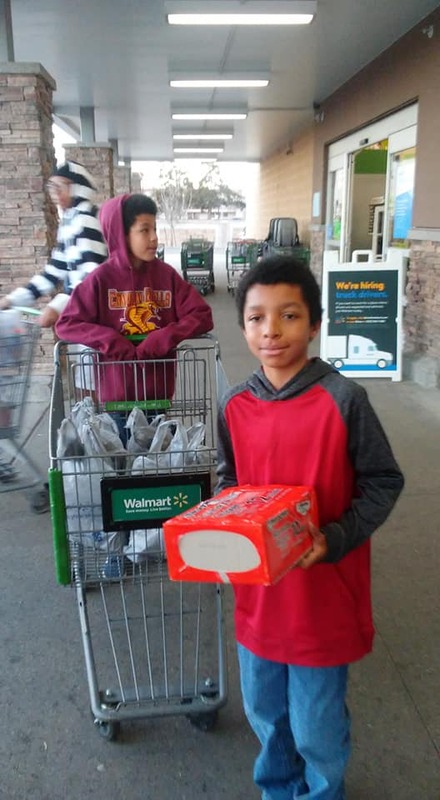 Walmart Neighborhood Market Food Drive!!! 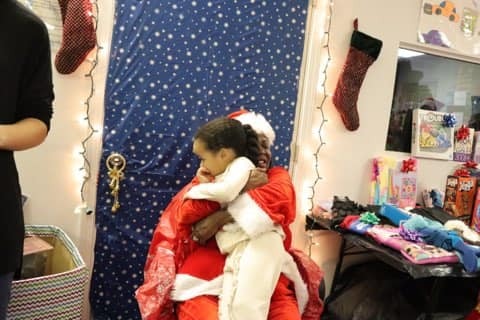 After enjoying the holidays with our family and friends, YEIE opened back up its doors to help God’s children in need. 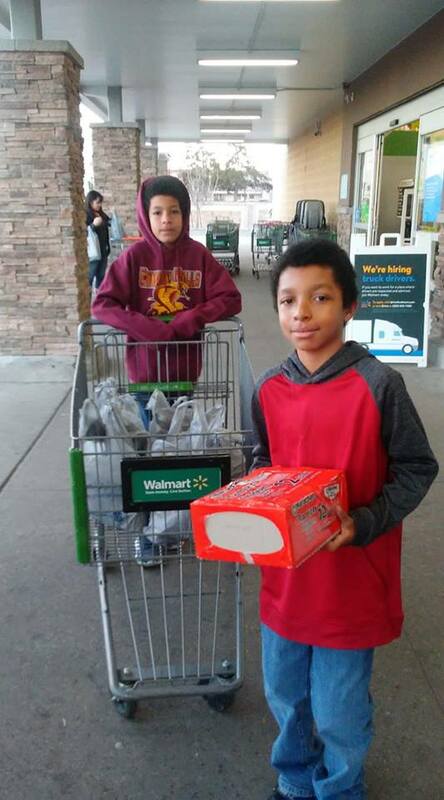 Fortunately we were invited back to the local Walmart Neighborhood Market to help fill up our Pantry so that we could ensure we could keep giving a “hand up not a hand out” to those that need us. 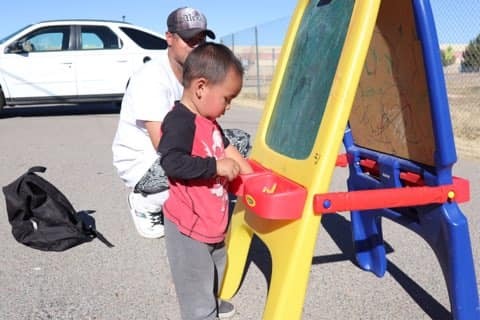 Without community partners like the Walmart Neighborhood Market and people in the community of El Paso who care, we could not do what we do. 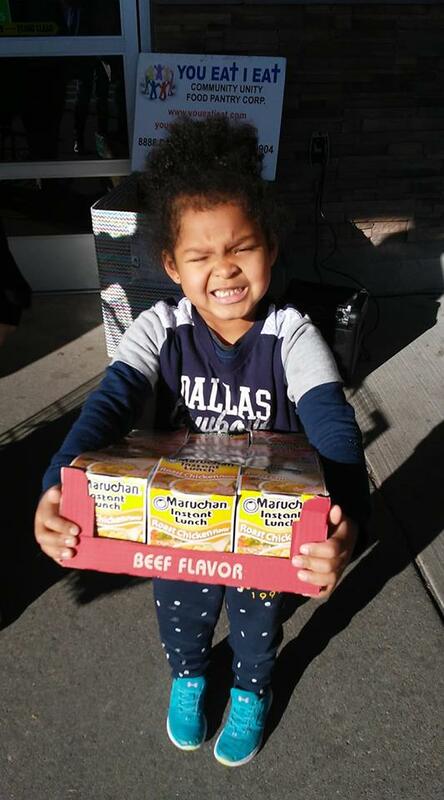 We give out non-perishable items almost as fast as we give them out. It truly does take a village and we are so grateful. 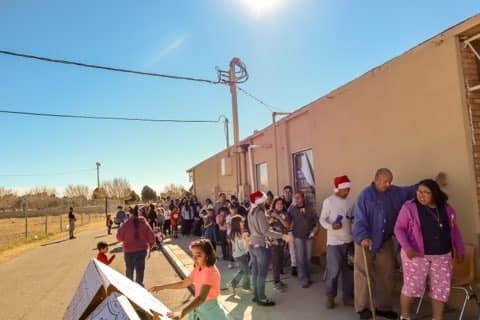 This year on December 22, 2018 we were very blessed to be able to host our annual Christmas at the Pantry. 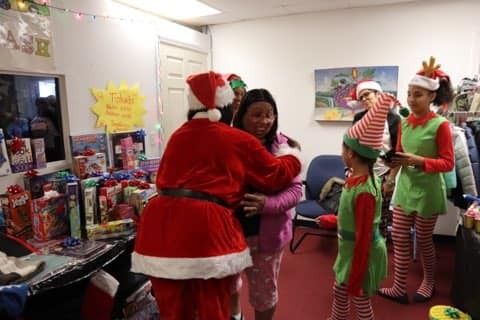 Not only were we able to have a special meal for all of God’s special children, we were also blessed by the generous donations toys that Santa was able to give to every child that came through our doors. We couldn’t do anything without our sponsors, donors or volunteers. It takes a village to make things happen and this event was a HUGE hit! 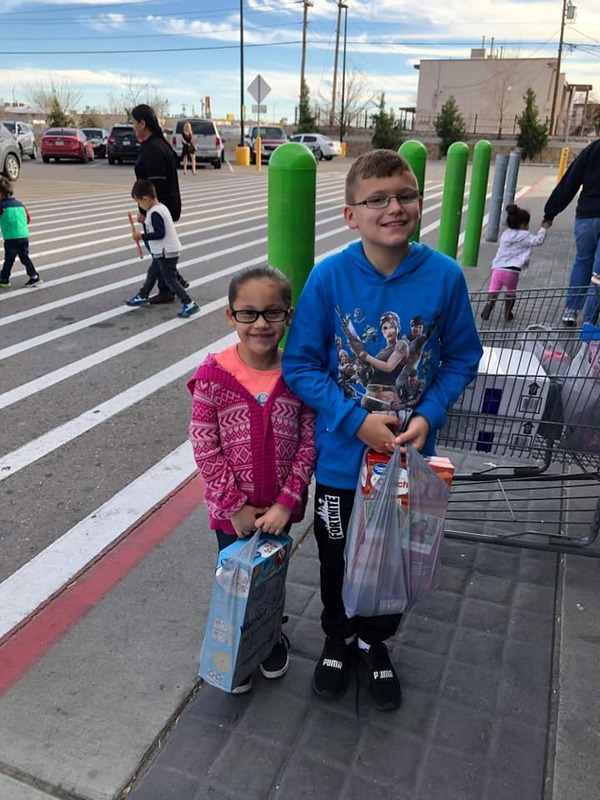 We are so happy that we were able to bring SO MUCH JOY to so many people during the holiday season! Now on to bigger and brighter things in 2019! 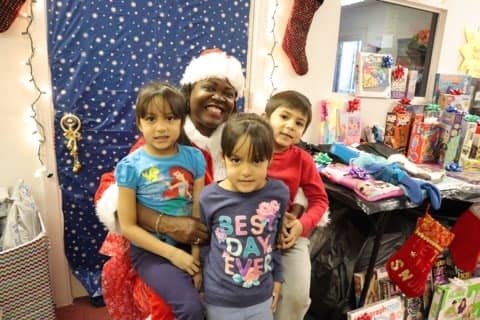 Moye Elementry School Christmas Party!!! 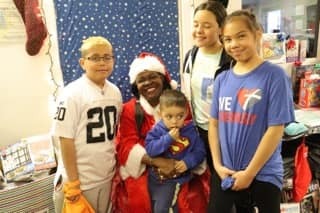 On the December 20th, 2018 we were very blessed to be able to hold our first ever Christmas Party at Moye Elementary School. 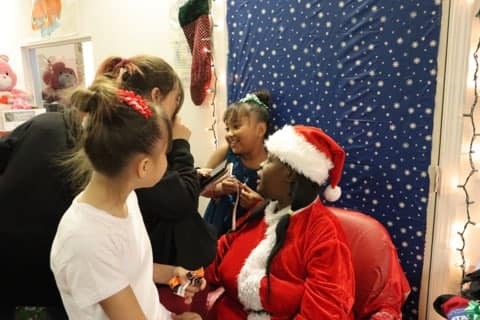 Because of the generous donations from the community and organizations like Full Beauty Brands we gave the children a Christmas party that they will never forget! 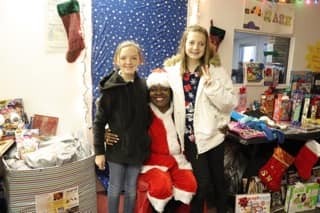 There was pizza, cookies, lots of snacks, presents and even Santa! So much fun was had by everyone that attended! We can’t wait to make this an annual event and are so thankful that we are able to help all of God’s special children at YEIE! Thank, you, Pastor Mike and First Lady Flo Davis of '‘A Place of Purpose Church”. 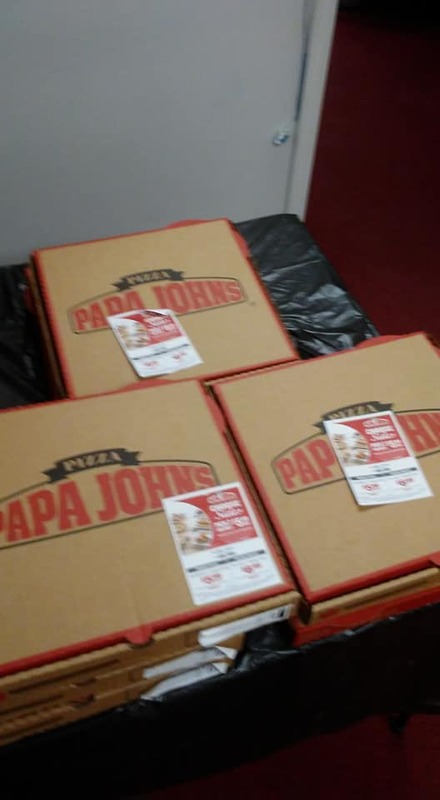 Your donation of pizzas was enough to feed 160 children during our very first '‘Pizza At The Pantry After School Lunches to Go'“ today! The children were absolutely thrilled to receive the blessings you brought to them. You are both truly Friends of You Eat I Eat and an inspiration to many! Thank you both and your Congregation for being the kind hearts you are. We will closed temporarily while we relocate to and renovate a larger space. We will still be in this building but just around the corner in Suite #513. We deeply apologize to all who may be in need of our help by way of the support of our community. Though our official reopening will be November 3rd, we will be available to those in need on October 16th. The Saver’s Halloween Fashion Show!!! So many ghosts, goblins, witches, superheroes, princesses and a couple of Klingons too!!! THE FACES OF THOSE WE HELP. YOU EAt/I EAt assists upwards of 300 individuals each month. During the periods that school is not in session the numbers have reached nearly 500. THE FACES OF THOSE WHO HELP US HELP. We have volunteers from several Organizations who assist us in food drives. Shown above is "Veterans at Breakfast".